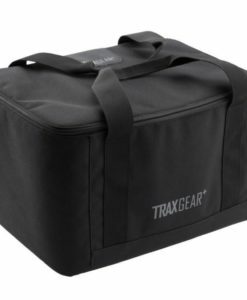 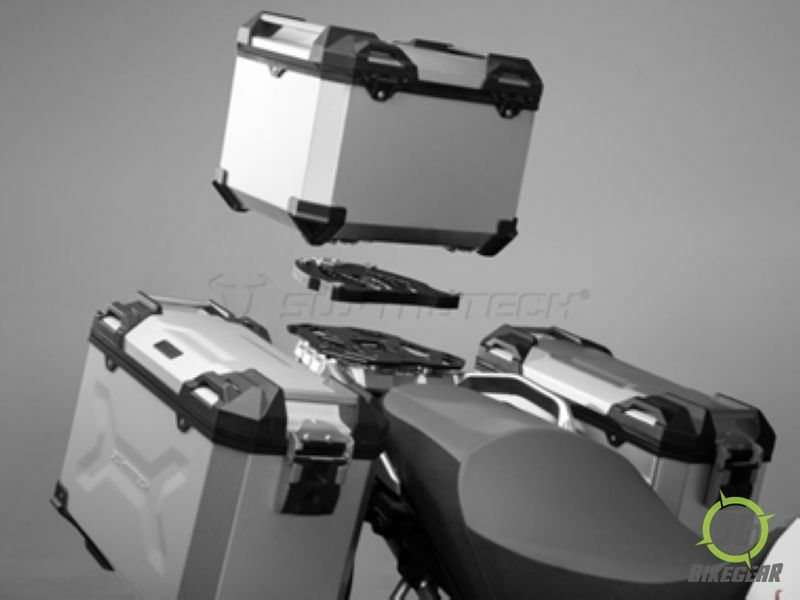 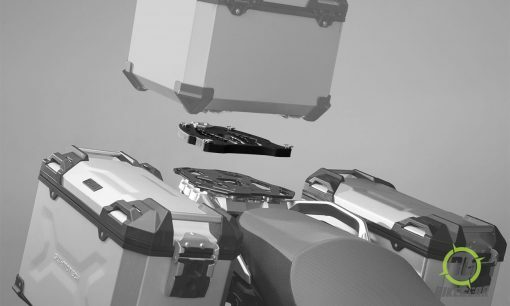 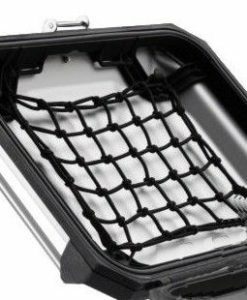 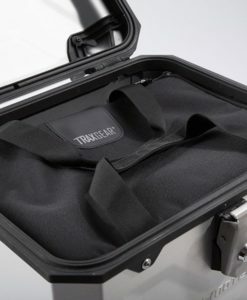 SW-MOTECH TraX ADVENTURE Topcase Kit ideal for the adventure motorcyclist who is looking for a rugged and great looking, long-distance enduro touring. 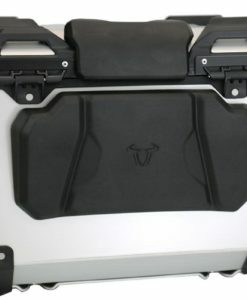 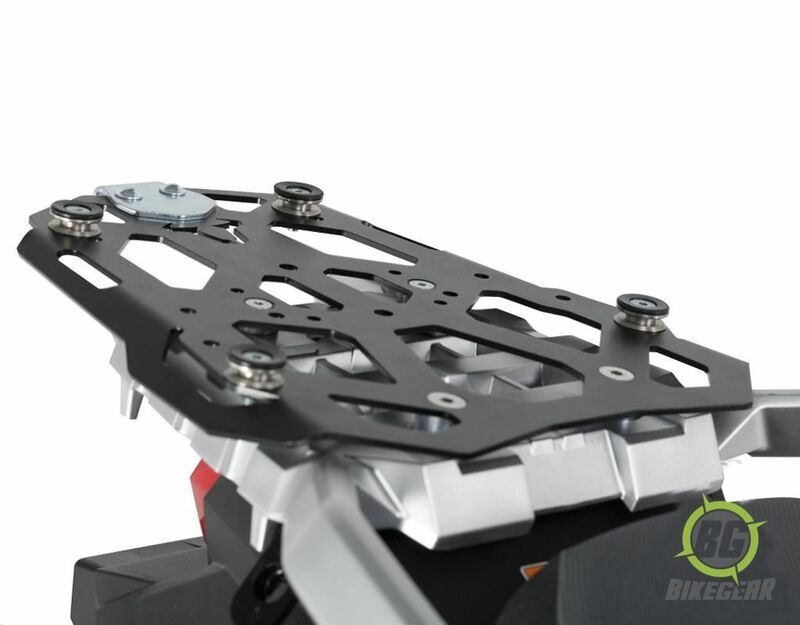 SW-MOTECH STEEL-RACK is used to fit SW-Motech Trax Top Box on the Suzuki V-Strom 1000 '14-onward. 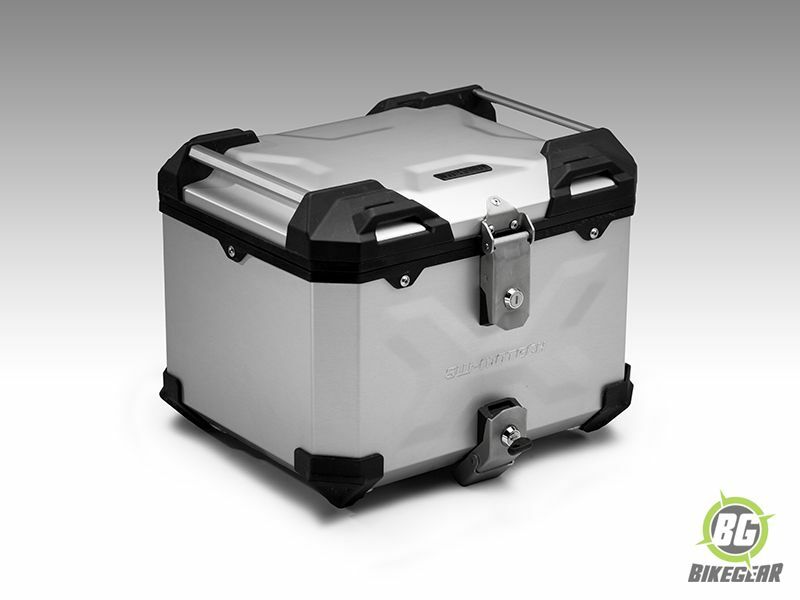 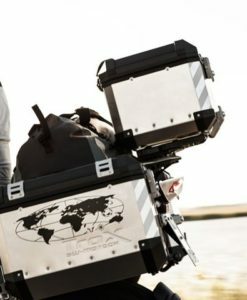 SW-Motech Trax Adventure Top Box Kit: by employing unique pannier construction technologies such as cold metal transfer (CMT) robot welding and fully automated punch riveting you can be assured that the SW Motech Trax Adventure pannier system will be a reliable companion on any terrain, be it a city cruise, rugged off-road trail or a cross-continent tour. 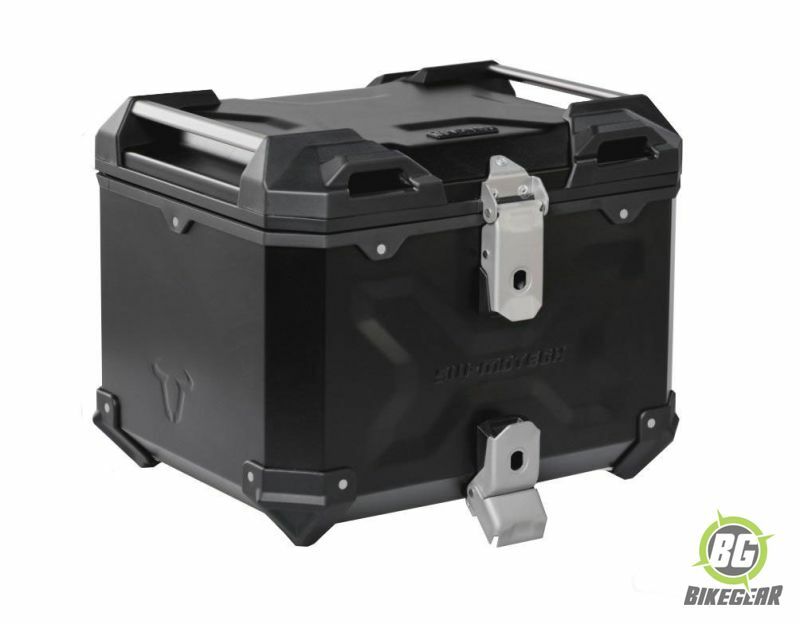 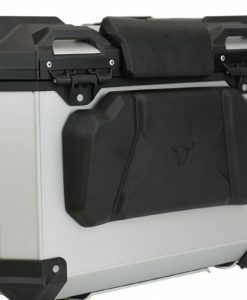 This kit includes the 38L Top box in either scratch resistant anodized silver or powder coated black. 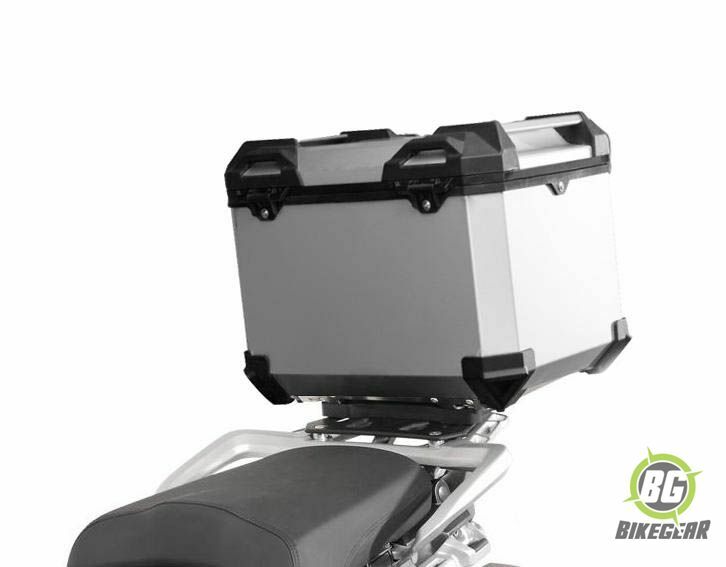 The top box is available in a 38L capacity which accommodates a full-face helmet (including Enduro type peaked helmets) with ease.